There’s a level of transparency to superhero stories that fascinates me, simply because it doesn’t seem to be talked about much. Season 2 of Daredevil reminded me of that, in particular one moment where Matt, about to excuse something very very bad indeed, crosses himself. I gasped. Not because it was especially shocking (Although what he’s excusing definitely is) but because it was such a simple, familiar moment of Catholicism. I’ve done that. He did that. The gesture becomes a short circuit between viewer/reader and character. Instant empathy. That short circuit allows stories which all too often are derided for being simplistic to deal with complex societal topics head on. The X-Men are the most successful discrimination metaphor of all time, defending the world that hates and fears them for decades now. It’s an elegant, complex and powerful idea. It’s also what lies at the heart of The Pride. 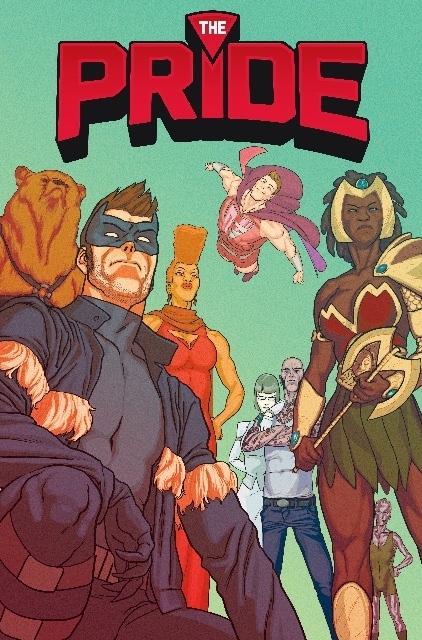 Created by Joe Glass and a flotilla of some of the best artists in the business, The Pride is the story of the world’s first exclusively LGBTQ superhero team. 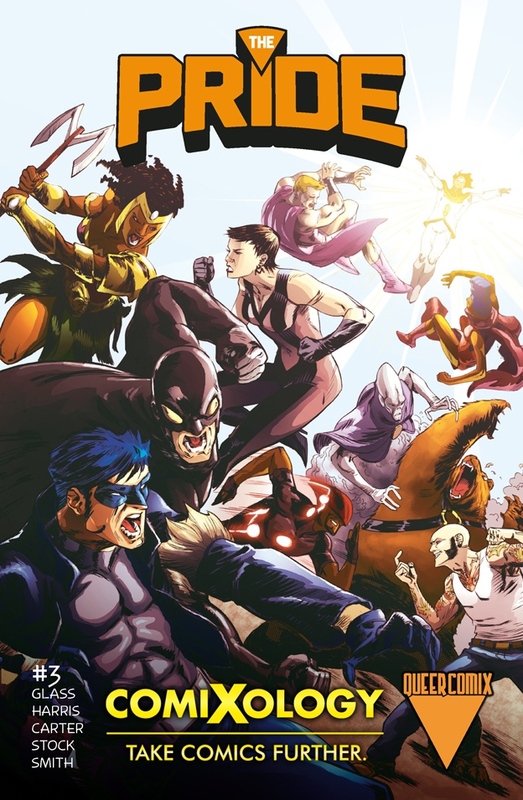 Set up to both tackle the issues their community grapples with, and save the world, they face both threats with equal honesty, equal courage and a dash of humour. Joe’s crowdfunding a hardback collection of the first volume right now. Go take a look and if you can, pledge. It’s a great book and the collection’s going to look brilliant. Oh and go say hi, their Facebook page is over here.